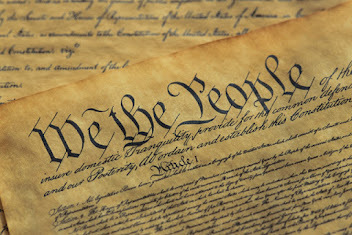 The Annapolis Convention was a meeting of 12 delegates from five states (New Jersey, New York, Pennsylvania, Delaware, and Virginia) that called for a constitutional convention. The formal title of the meeting was a Meeting of Commissioners to Remedy Defects of the Federal Government. The defects that they were to remedy were those barriers that limited trade or commerce between the states under the Articles of Confederation. [Maryland State House]. 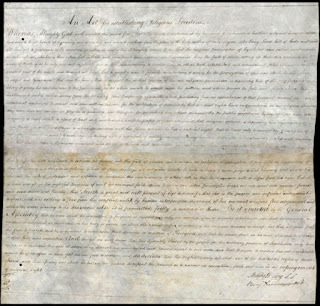 In September 1786, delegates from five states met in Annapolis, Maryland, ostensibly to discuss barriers to trade under the Articles of Confederation. The commissioners decided that not enough states were represented to make any substantive agreement. Despite the failure of the “Annapolis Convention” to attract broad support, the nationalist delegates who had attended it, including Alexander Hamilton and James Madison, pressed on with a recommendation for a national convention to address defects in the Articles of Confederation. [Archives]. Proceedings of the Commissioners to Remedy Defects of the Federal Government, Annapolis in the State of Maryland.